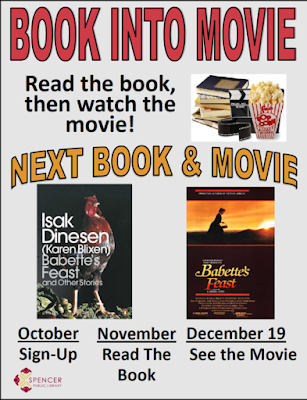 Monday, December 12 @ 6:30 PM –Book Into Movie at Spencer Public Library- We will be watching the movie Babette’s Feast starring Stephane Audran. 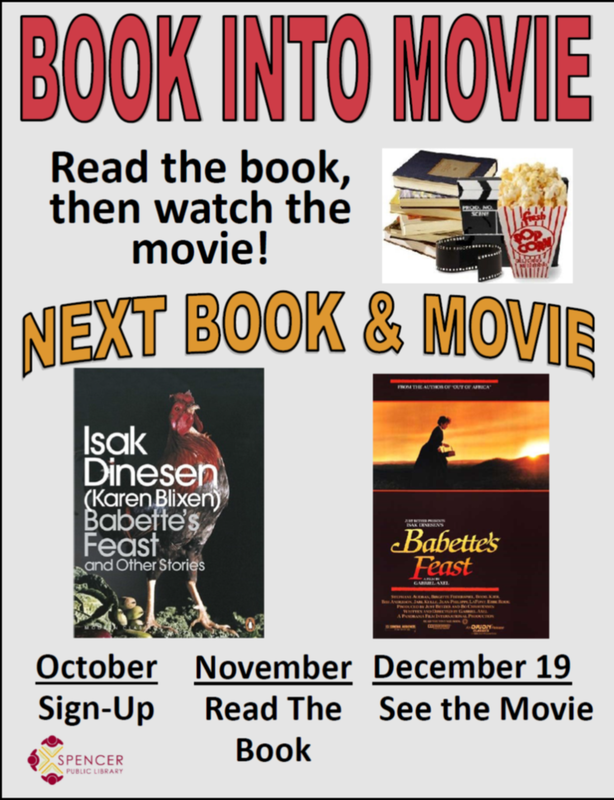 Winner of the 1987 Academy Award for best foreign film Babette’s Feast is about a French refugee who is taken in by two pious elderly sisters from a small village on the coast of Denmark. She plans an elaborate, and very expensive, banquet for the residence transforming their hearts with food. Registration required. Free with popcorn and soda. For more information call 580-7290.